In late 2017, Amazon opened a new robotics fulfilment centre on the outskirts of Tilbury, Essex. The site, which is approximately the size of 28 football pitches, is named LCY2 after the nearest international airport, London City Airport. With the opening of the Tilbury site, Rosie McCarthy started her first ever job aged 18. Rosie started as a fufilment centre associate, picking customer orders from shelves and sending them on to be packed. In less than a month in the job, Rosie was promoted to an instructor, training new and existing employees. 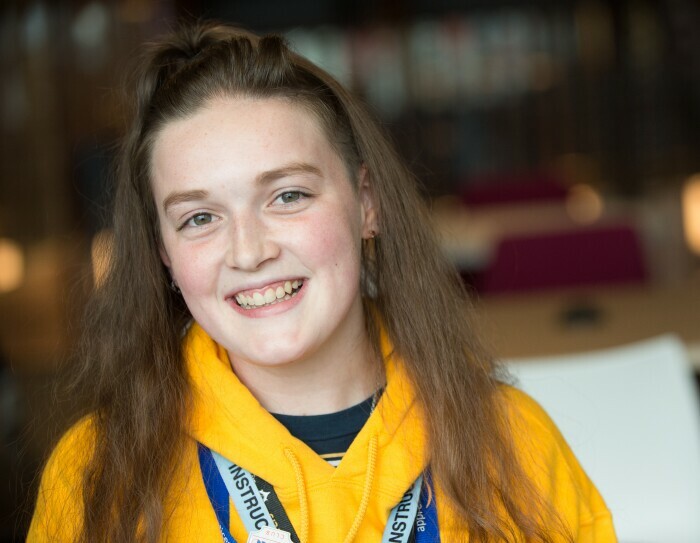 A few months later Rosie decided to take on an operations apprenticeship, studying modules such as health and safety, visual management systems, working relationships and workplace organisation. “I have surprised myself with all that I have achieved and how quickly I have grown at Amazon both at work and as a person too,” said Rosie. During the five-day trip to Seattle, Rosie and Amazon colleagues from sites across the UK were shown around the city and enjoyed a trip up the Space Needle. They also went on a tour of the Amazon campus and the robotics fulfilment centre in Kent, Washington, where they met Amazon’s chief scientist. “I loved coming together with people from Amazon fulfilment centres across the country and learning what we do differently and what we do the same. Getting to see the Amazon headquarters in Seattle with them was amazing,” said Rosie.